Here at DormCo, we know dorm security is a concern. Unfortunately, dorm security concerns extend beyond valuable dorm items that you can lock up in your college dorm safe or dorm trunk. Your own dorm security is also a concern for you and for us here at DormCo. There may be the chance that you have to take night classes due to either your preference for them or it's the only time the class is offered. That may mean you are walking to or from class in the dark. Sure, there may be street lamps on the college campus sidewalks, but it will still be dark. 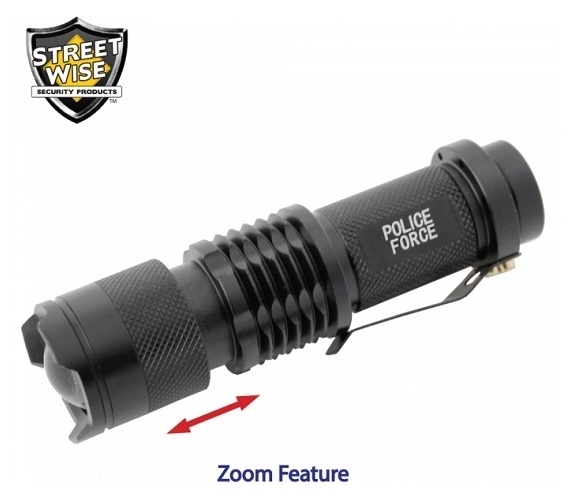 Be prepared with this dorm essential Mini Tactical Cree Flashlight with Zoom! Plus if there is a power outage in your dorms, you will already be prepared with a dorm flashlight. 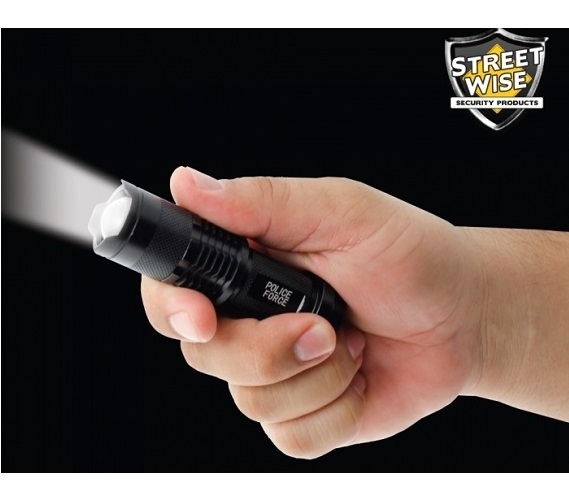 Our Mini Tactical Cree Flashlight with Zoom is an ultra bright flashlight that will help you see your way back to your college dorm or car safely and therefore protect you. This ultra bright flashlight has an LED brightness of 220 Lumens and an LED distance of 300 meters. This dorm flashlight also has a slide zoom that allows you to adjust the focus of your light. You may have concerns about weather while walking with a dorm flashlight. After all, you don't want to ruin your dorm flashlight in heavy rain. 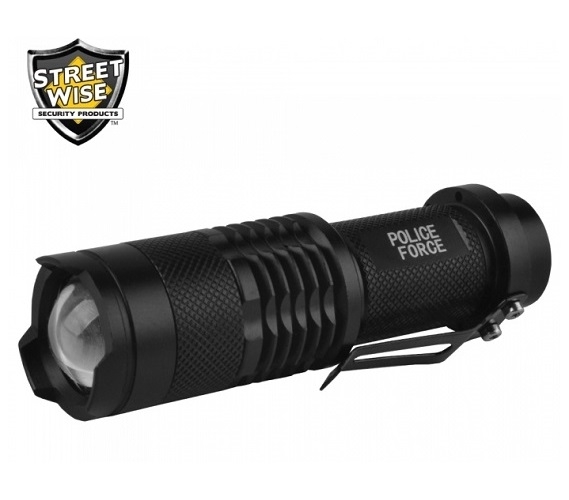 Luckily, this Mini Tactical Cree Flashlight with Zoom is also water resistant! As a college student, you don't want to spend a lot of money on batteries when you're using this dorm flashlight every day. With this Mini Tactical Cree Flashlight with Zoom, you won't have to because it comes with both a rechargable Lithium Ion battery and the charger for it! This Mini Tactical Cree Flashlight with Zoom is compact and light enough to fit in a purse or be slid onto your belt with the included metal belt clip.